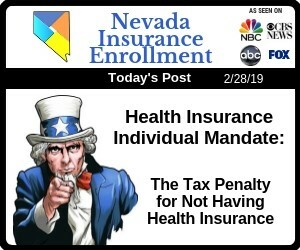 Las Vegas, Nevada, residents who didn't purchase health insurance in 2018 will likely pay the individual mandate penalty in 2019 unless they qualified for an exemption. When a majority of the Affordable Care Act's provisions took effect in 2014, virtually every U.S. citizen was required to have health insurance. Residents could purchase a plan subsidized by their employer or purchase an individual health insurance plan. Although ACA brought a lot of positive changes to the health insurance industry, such as the 10 essential benefits that qualifying health insurance had to cover and the guaranteed coverage for pre-existing conditions, the individual mandate was always among the most contentious parts of the bill. In late 2017, the Tax Cuts and Jobs Act stated that the government did not have the constitutional right to penalize citizens for not purchasing something, and the individual mandate penalty was eliminated, effective January of 2019. While every U.S. citizen, with a few exceptions, is still legally required to purchase health insurance, there will no longer be a tax penalty imposed on those who do not purchase health insurance. Before ACA was passed, health insurance companies could keep their premiums affordable by declining coverage for applicants with pre-existing conditions. When ACA took effect in 2014, insurers no longer had this option. Suddenly, thousands of people who had previously been ineligible for health insurance could sign up for a policy that would cover pre-existing conditions. To ensure that the cost of health insurance didn't increase drastically when the market was suddenly inundated with people who would cost insurers more money, ACA required that everyone, regardless of their health status or whether they have had health insurance coverage in the past. The purpose of this requirement was to balance out the market and keep costs affordable for everyone. This policy was enforced through the individual shared responsibility mandate. The individual shared responsibility mandate, commonly referred to as a tax penalty, applied to U.S. citizens of all ages, including children. Anyone who claimed a child as a dependent on their federal tax return would be responsible for paying a tax penalty if that child did not have qualifying health insurance coverage. There were a few exemptions available from the individual mandate for those who met certain criteria. Members of certain religious sects that were opposed to accepting any insurance benefits, including those issued by the state or federal government, could file for an exemption from the individual mandate. Individuals whose projected annual income made purchasing health insurance impossible or those who were ineligible for Medicaid could also qualify for an exemption. Even though the tax penalty for not purchasing health insurance is gone, health insurance is still a necessity. There are many coverage options available, even for Las Vegas, Nevada, residents with low income. 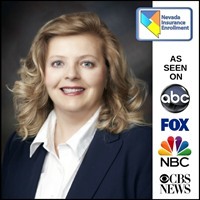 Nevada Insurance Enrollment health insurance agents help people with varying health insurance needs and budgets find affordable health insurance coverage that fulfils the federal coverage requirement and provides adequate financial protection. They care about you, they work for you, they're experienced and they're local. They are the insurance experts, let them guide you. Talk with a friendly, knowledgeable, licensed insurance agent. No agent fee and no charge for their service. They don’t just sell insurance, they actually care.